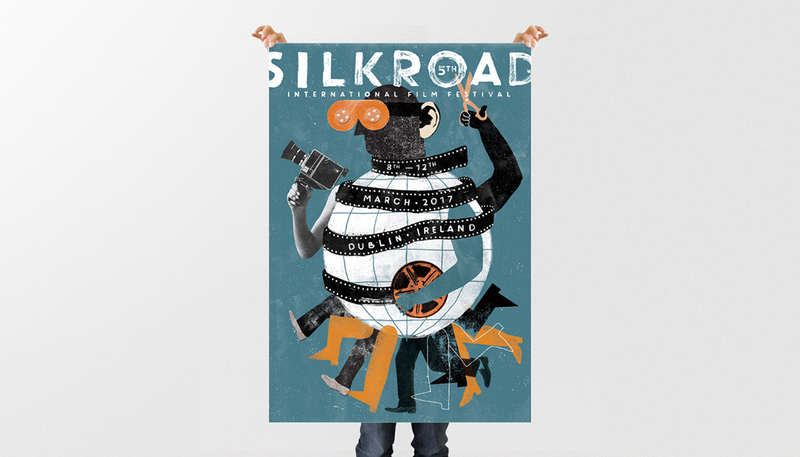 The Silk Road Film Festival (SRFF) celebrates cinema, culture and art, presenting films from countries, which were once part of the historical network of the Silk Road ancient trade routes and focuses in particular on Asian, Arab, Persian, Middle Eastern, African, Mediterranean and European cinema. 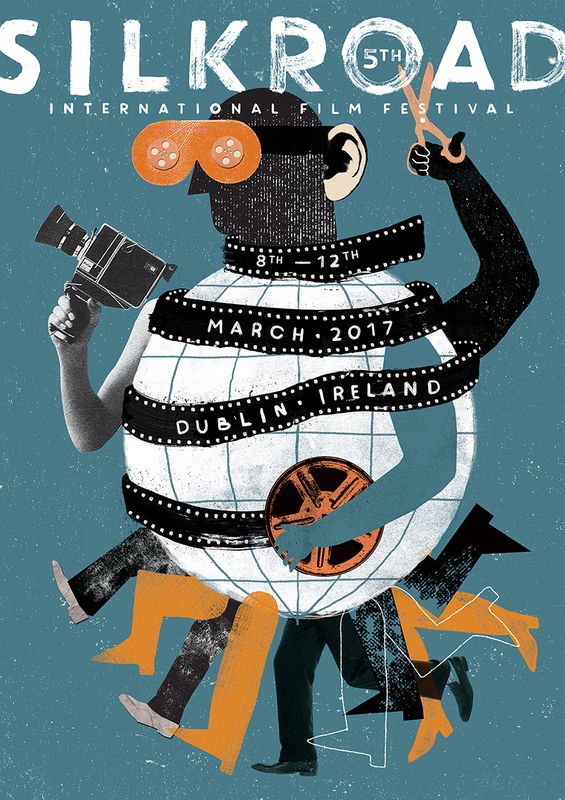 This year again the Silk Road Film Festival has brought an eclectic range of films to the Irish audience - rich diversity of features, documentaries, animations, shorts and student films. The festival directors are excited and proud to announce that they received submissions from over 80 countries - almost three times more than last year. Assembling of different materials and techniques (Illustration, photography, collage...). Objects of a film director (reels, scissors, film tape, cameras) Movement (character legs). Globe and Film stripes wrapping around the globe (trunk). 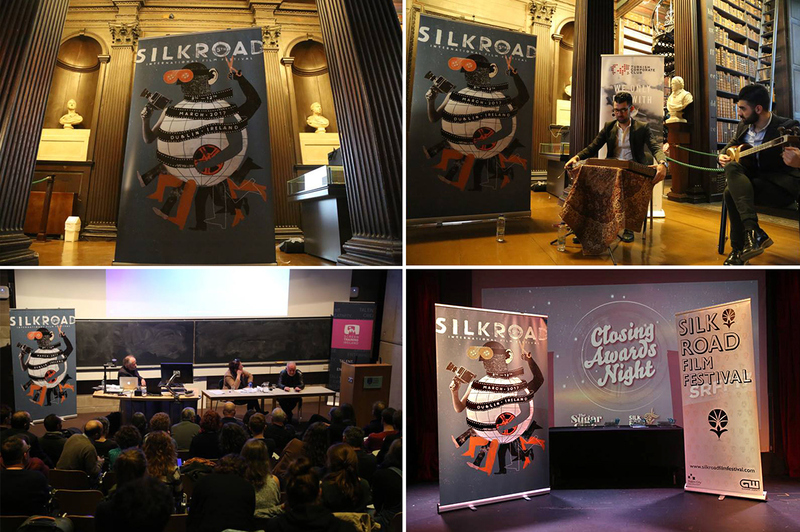 Silk Road Film Festival (SRFF) held annually during the month of March in Dublin, Ireland. SRFF welcomes films from countries, which were part of the historical network of ancient trade routes across the Afro-Eurasian landmass that connected Persia, Middle East, Arab, East, South, and Western Asia with the Mediterranean and European world, as well as parts of North and East Africa.